Floyd Mayweather is returning to the ring. 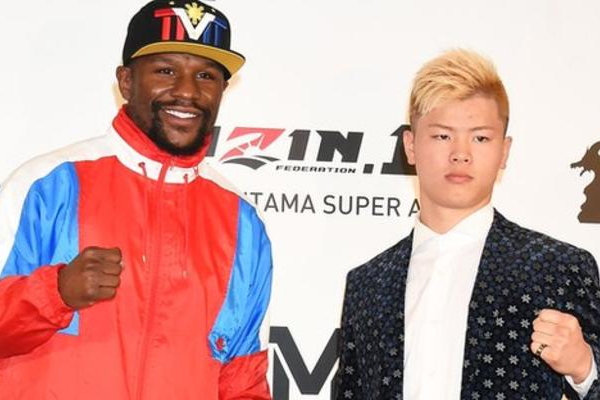 The Rizin Fight Federation announced on Sunday that Mayweather will fight undefeated kickboxing sensation Tenshin Nasukawa at an event on December 31st in Japan. “I wanted to do something different,” said the 41-year-old American. Mayweather said the weight class and rules for the fight would be discussed “within the next couple of weeks”. Therefore it is still not known whether the fight will be under boxing or mixed martial arts rules. Mayweather has a boxing career record of 50-0 although since his retirement he has stepped into the ring to fight and win against UFC star Conor McGregor. As for Nasukawa, he defeated former UFC flyweight contender Kyoji Horiguchi where he showcased his kickboxing chops.